Some of the nation’s largest businesses encourage employees to travel to large U.S. medical centers for complex elective surgical procedures. As part of these medical travel programs, companies negotiate lower prices for patients to receive high-quality surgical care at some of the nation’s premier hospitals. However, up to 22 percent of surgical patients experience unexpected complications and must be readmitted for post-operative care. Many participants have to travel long distances – sometimes hundreds of miles from home – to reach destination hospitals, meaning that returning should complications arise can be difficult. Yet according to a study led by the University of Utah, going back to the same hospital can be important for recovery. A release from the university notes that readmission to a different hospital was associated with a 26 percent increased risk for dying within 90 days. The results of the research, published in June 2015 in The Lancet, have implications for patients who take part in so-called domestic medical tourism programs. Returning to the site where the original operation was done was associated with improved survival regardless of whether it was a large teaching hospital or smaller community hospital. Patients fared slightly better when also treated by the same surgical team. The trends held true for patients who underwent a wide range of common operations including neurosurgery, coronary bypass, and hernia repair. The researchers examined data from 9,440,503 Medicare patients who were readmitted within 30 days after undergoing any of 12 major surgical procedures between 2001 and 2011, the largest analysis of surgical patients of its kind. 66 to 83 percent of patients who had complications were readmitted to the same hospital. Statistical analyses demonstrated that these patients were more likely to survive 90 days after readmission than those who received post-operative treatment at a different hospital. 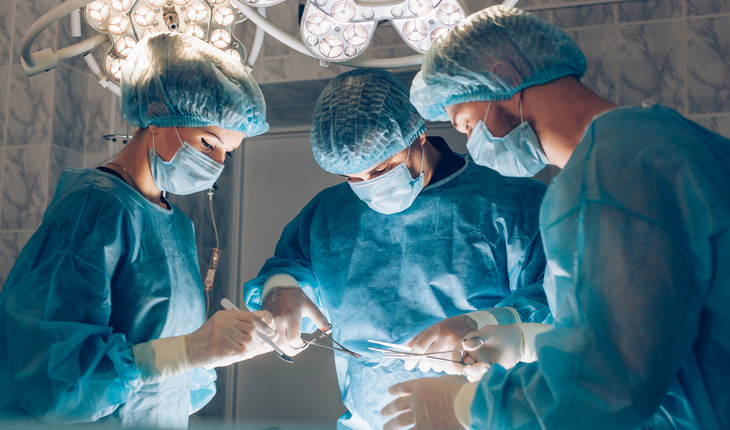 The trend was consistent across all surgeries, and ranged from a 44 percent decrease in risk for death for those who underwent pancreatectomy, to 13 percent for coronary artery bypass surgery, according to risk-adjusted, inverse probability weighted models. A second statistical method, instrumental variable analysis, showed attenuated results but supported the findings from these models. Because the results are observational in nature, a randomized trial is needed to prove a causal link. The current results add to mounting evidence that continuity of care leads to better outcomes for a variety of acute and chronic medical conditions. The reports support the notion that returning to the same hospital may be more important than other measures of health care quality such as being treated at large medical centers that perform high volumes of specific procedures. Senior author Sam Finlayson, M.D., MPH, says even though the current study examined patients of retirement age, it warrants consideration by anyone, no matter how old they are.